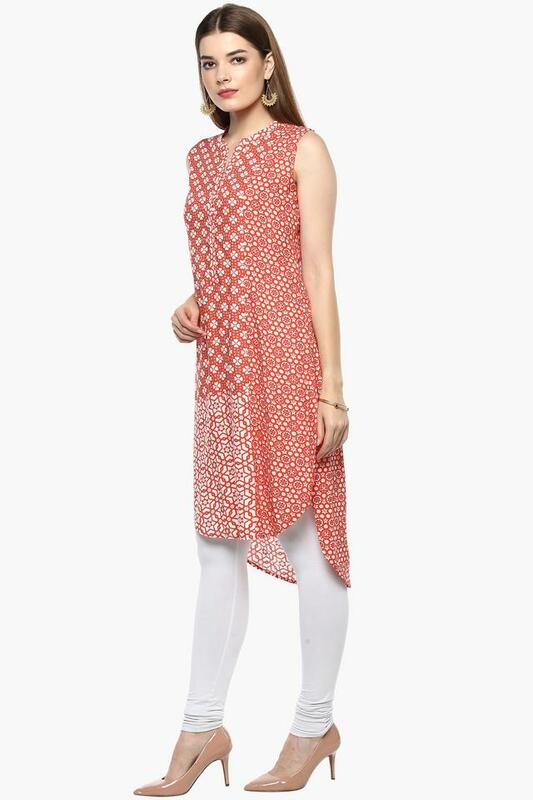 Make a statement that exudes elegance with this high low hemline kurta from Rangriti. 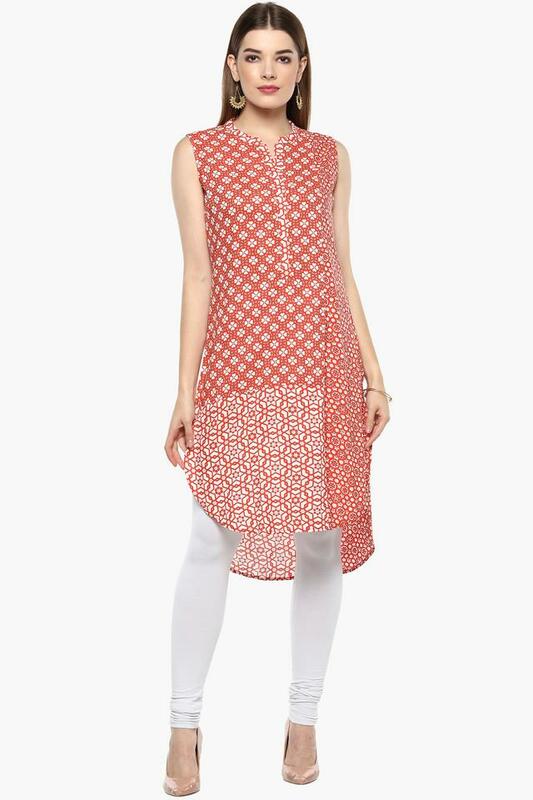 Featuring a mandarin neck, this kurta is a must have in your wardrobe. 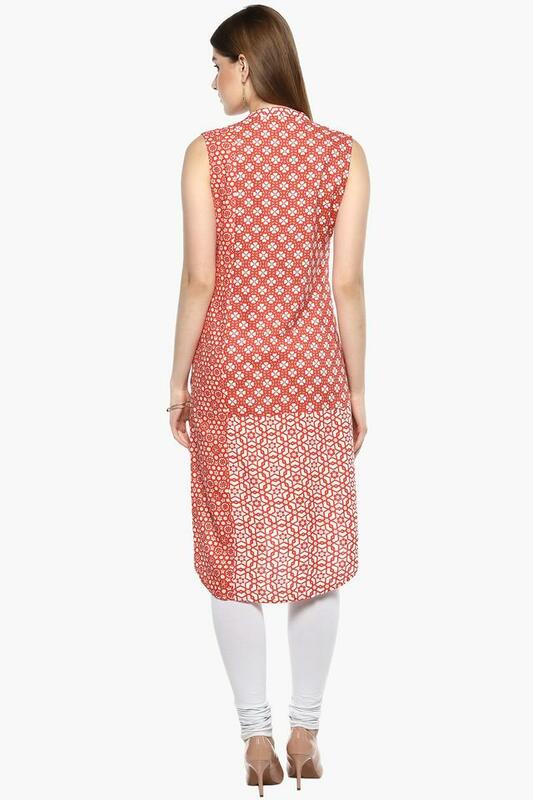 It boasts a printed pattern that looks appealing. It is crafted from good quality fabric which gives you comfort all day long.